ENVIROPRO has an opening with immediate start for short term environmental consultancy job for a Biodiversity Impact Assessment study for students/nature enthusiasts which requires short term (cca 3 weeks) field work and identification of species of fauna – birds, mammals, amphibians, reptiles, fish and crustacean, insects (butterflies) and flora – tree species. Anuj Jain awarded the Joan Mosenthal DeWind grant for Lepidoptera conservation! Anuj Jain was recently awarded the Joan Mosenthal DeWind award administered by the Xerces Society, USA. This award, named after the amateur lepidopterist and pioneering member of the Xerces Society recognises work by a graduate student in the field of lepidoptera conservation. Two awards are issued worldwide annually based on proposals, and comes with a US$3,750 grant. Anuj is the first student in a university from Asia to be granted the award. Grant recipients from the past team years are listed ar the Xerces website. 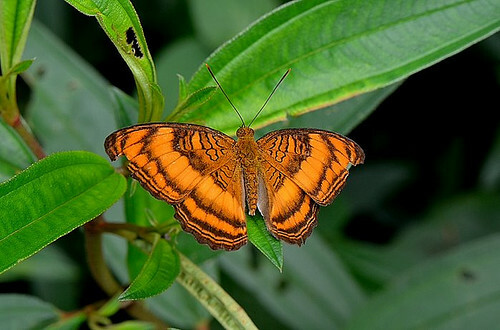 Purple Duke (Eulaceura osteria kumana) – a common forest restricted butterfly and Colonel (Pandita sinope sinope) – a rare and locally threatened butterfly. Photos by Tea Yi Kai. What research did Anuj receive the award for? Deforestation and habitat degradation are primary conservation concerns, reducing and fragmenting critical habitats and resources for tropical insects. As a result, many threatened insects cannot maintain their own populations and need intervention in the form of habitat enrichment. Experimental studies that manipulate key insect resources and quantify insects’ response are lacking, despite these studies’ great conservation potential. 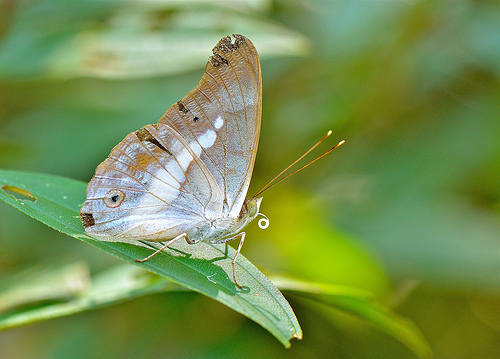 Using Singapore as a model system, my research quantifies the effect of a habitat enrichment strategy by using larval host plants and nectar plants for four butterfly species (two locally threatened) with different habitat requirements, studied across mature forest, degraded forest, and urban landscapes. I also quantify bottlenecks that limit butterfly populations, study feeding specialization of butterflies to be able to recommend best strategies for enrichment and calculate their dispersal distances and home ranges using mark-recapture techniques. This fills in critical gaps towards our understanding of how tropical butterflies use degraded and fragmented landscapes. More about Anuj’s research on his lab webpage. Andie Ang, a finalist in the 2014 Rolex Awards for Enterprise! Andie Ang, who cut her teeth on banded leaf monkey studies in Singapore, is now at the Department of Anthropology, University of Colorado Boulder pursuing her PhD. She just informed us that she is a finalist in the 2014 Rolex Awards for Enterprise! Woo-hoo, congratulations Andie! More than 1,800 applications were submitted from 129 countries. Five of the 22 finalists will become Young Laureates for Rolex Awards (under 30 years old), to be announced in June this year. Young Laureates will receive $50,000 Swiss francs to advance projects in science, environment, exploration, and cultural heritage. 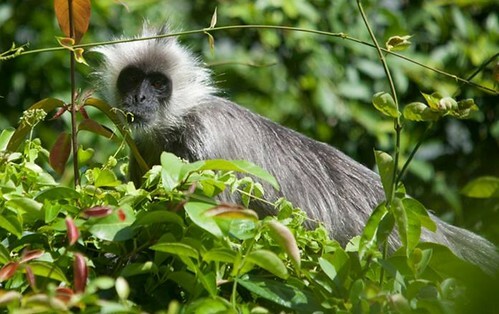 Andie’s proposed project is on reconnecting populations of endangered Indochinese silvered langurs (Trachypithecus germaini) in Vietnam using aerial bridges, and quantifying the success using field and genetic data. This has not been attempted for wildlife canopy ladder projects. This funding would alleviate the danger of her largely self-funded field studies in Vietnam coming to a halt. This listing is already an honour and Andie is very excited to reach the final round. We are too, and wish her all the best! 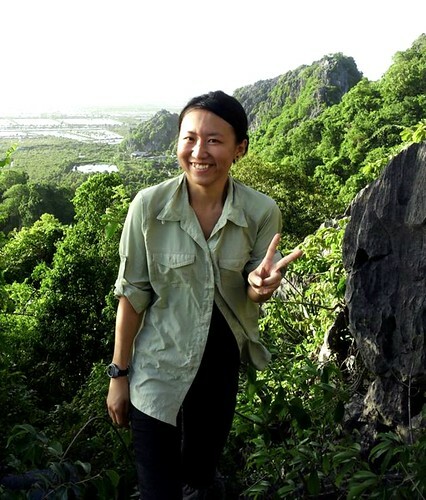 See the short film she made, “Conserving Colobines: Saving Endangered Leaf Monkeys in Việt Nam” – Andie Ang’s pre-dissertation work [link]. Applications are invited for internships to assist A/P Edward Webb with tropical tree surveys on the remote Polynesian island of Ta’u, American Samoa. Interns will participate in quantitative censuses of trees and saplings in long-term monitoring plots on the island of Ta’u during the months of May-June 2014. Webb, E.L., van de Bult, M., Fa’aumu, S., Webb, R.C., Tualaulelei, A. & Carrasco, L. R. 2014. Factors affecting tropical tree damage and survival after catastrophic wind damage. Biotropica, doi: 10.1111/btp.12067. Webb, E.L., Bult, M. van de, Chutipong, W., and Kabir, Md. E. 2006. 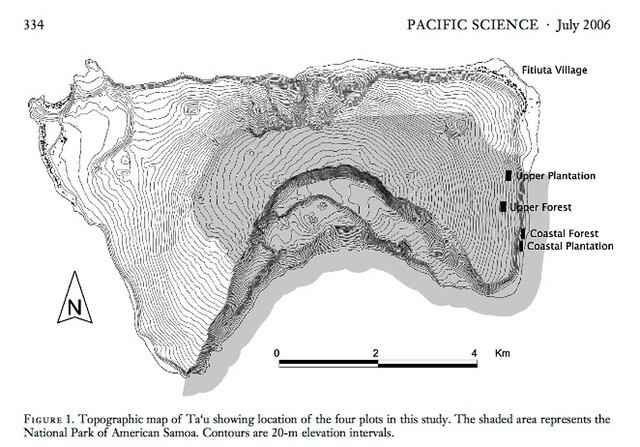 Composition and structure of lowland rainforest tree communities on Ta’u, American Samoa. Pacific Science 60(3): 333-354. Interns will receive training and the work will be closely supervised by A/P Webb or senior field staff. Basic expenses including travel, accommodation and meals will be covered. Internships do not carry a salary. Health coverage that includes emergency evacuation is required and the responsibility of the intern. The length of the field work will be a minimum of 4 weeks, and possibly 7-10 weeks in total. Short-listed candidates will discuss scheduling at a later date. A life Sciences-EB student or a BES student with an EB specialization. You must have finished your 3rd or 4th year by May. 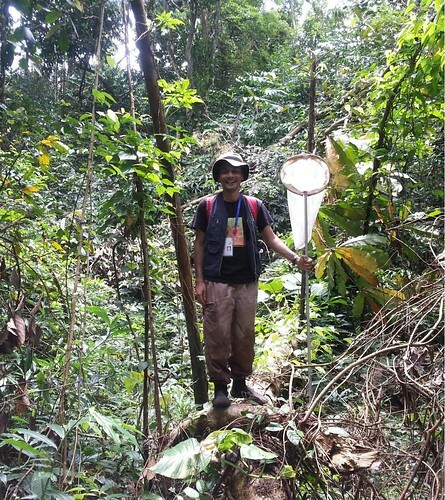 True enthusiasm for ecological field research – you must be willing and able to work long hours as part of a team, in a remote and challenging tropical forest field setting. Accommodations will be basic but clean. Phone service and internet may be intermittent. Excellent physical condition – daily hikes to survey plots range from 45-90 minutes each way, on moderate to advanced trails. 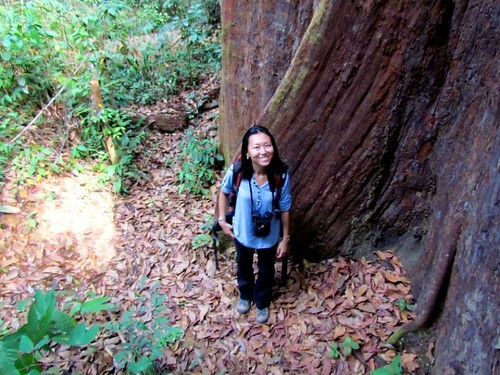 Experience with international travel and outdoor activities, especially hiking/trekking. A high degree of flexibility, patience, and an ability to “go with the flow”. Previous experience with field botany or field ecology is not necessary, but you must be willing and interested to learn field identification of trees. If you are interested, please first read the publications listed above. Also, get an overview of Ta’u island and American Samoa; start with Wikipedia. Confirm whether and how you meet the criteria above. Provide specifics as much as possible. Emails should not be overly long. Provide 1-2 names of people who could serve as a reference for you. 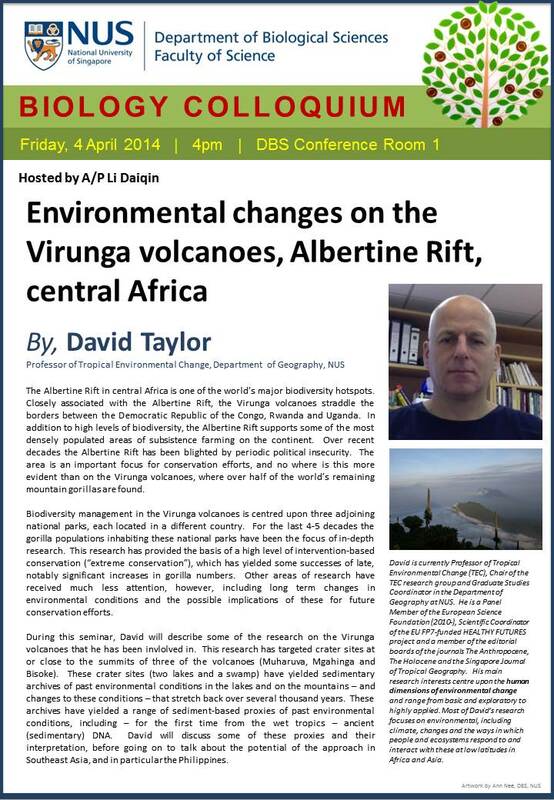 The application deadline is 20 March 2014. From: Edward Webb, APE Lab. We are looking for a Full-time Research Assistant to work in the Freshwater and Invasion Biology Laboratory. Candidate with a BSc (Honors) or equivalent and prior experience in freshwater ecology and biology is preferred. The initial contract will be for 1 year, with the possibility of an extension upon available funding and satisfactory performance to 6 months. Good organizational skills and excellent attention to detail is an essential component of this position. This person must be able to work in a collaborative, team-oriented environment. Some weekend flexibility may be required. Computer experience is desirable. This is a grant-funded position.